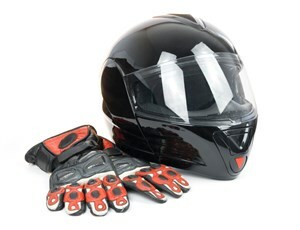 Motorcycle Breakdown Cover can cover you both in the UK and throughout Europe, and is designed to offer you peace of mind. Motorcycle breakdown is offered by all of our providers under their standard cover; and may be purchased either as a UK or European, single trip policy or annual multi-trip policy. If purchased as a single trip policy, some providers may include a limited UK cover if it is purchased more than 7 days in advance of travel. This normally covers you if your motorbike breaks down within 7 days of your departure date or on the journey from your home address to the point of exit from the UK. It usually provides a basic level of UK roadside assistance, although some providers may also offer a hire vehicle if your motorcycle is not able to be repaired by the trip start date, to enable you to continue your journey as planned. Our providers all know that a Motorcycle rider can be more vulnerable than a car driver, and some will offer extra levels of breakdown cover under their policy specifically for motorbike riders. Punctures are not normally covered by our providers, though motorcycle riders, without the ability to carry a spare wheel or tyre, will be offered assistance in most cases. Roadside Recovery is offered if the vehicle cannot be repaired at the roadside. The recovery agent will normally have the vehicle towed to a local garage for further repairs. There is usually provision in European Breakdown Cover for onwards travel, overnight accommodation, or - where available - a hire vehicle if your vehicle cannot be repaired within a few hours. Make sure you check through your documentation for any restrictions to the hire vehicle clause, as you will usually be using local hire car companies there may be restrictions on the types of vehicles available (the providers cannot guarantee a replacement motorcycle) as well as driver’s ages, license types, or other limitations that may apply. Spare Parts costs are not covered by any of our providers. Please read through your cover documentation for full details before you travel. Some of our providers may include free delivery of the spare parts if the parts are not available locally. So, although you may have to pay for the part itself, at least you won’t have to worry about how it gets to you. Repatriation plays an important role in European breakdown cover, as if your motorcycle is not able to be repaired by your return trip date, the breakdown provider may be able to arrange for your motorcycle to be transported back to your home address for you once repairs are complete. Sometimes, depending on the distance, they may instead pay the cost of public transport back out to your motorcycle; so that you may ride the motorbike back home to the UK yourself.